Drake Insurance and Financial Services was founded over 75 years ago. The agency has operated on the premises of the Security State Bank since its inception. This relationship has proven to be mutually beneficial to bank and insurance agency customers. 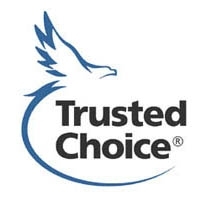 Trusted Choice Drake Insurance and Financial Services employs a staff of professional insurance specialists who are caring and conscientious people; the kind of people you can depend on. Currently, Drake Insurance and financial services serves the insurance needs of individuals, families, and businesses throughout central Iowa. Our offices, located in the Security State Bank buildings in Radcliffe and Story City, include state of the art computer systems for policy information and rating comparisons. In addition to our computer system, we pride ourselves in “the only thing we have to sell is service.” Our number one product is service.